Isn't that what Spot Auditors are for? Are you suggesting that clubs are simply giving money to players and not declaring it? That's an accusation that they aren't just being creative with accounting but are in flagrant breach of the rules. Unless every club is doing it, I can't work out why there wouldn't be more fuss made by those that aren't doing so. 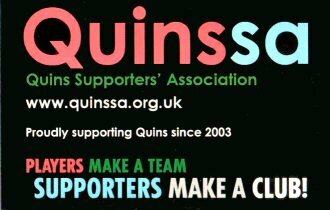 If Quins truly thought that Saracens were, off the books, bunging their players hundreds of thousands of pounds (and then those players were committing tax fraud by not declaring the income), they would be shouting it from the rooftops. Not to mention that players talk - if Itoje, Kruis, George etc are on England duty and rubbing shoulders with players from other clubs there's no way that the cheeky £200k they are getting on the side, illegally, doesn't get leaked out. Quite possibly yes - and the players have no idea how things are being accounted for or which bank account they’re being paid from. It’s also not going to be one player getting an extra £200k an extra £10k per player across the squad basically buys you an extra lions starter. If there was another company that was nothing to do with an offending club that employed the players as consultants as well, this wouldn’t be in the cap would it? A mega rich owner could create a company that also paid players but not for rugby related things. It seems to me that there are all sorts of companies that are consultancies but don’t actually do anything, they are just for moving money around and avoiding taxes quite legally but maybe not morally. The other salary would be taxed and above board but the players would know I would think.